One of my favourite music shows, “Later… with Jools Holland“, has just reached a milestone this month, broadcasting it’s 200th episode. The cake has been sitting all day in the middle of Studio 1 at BBC Television Centre. But only ten minutes before the 200th episode of Later with Jools Holland is due to be recorded does someone realise that lighting 200 candles – and keeping them lit while the studio audience sings Happy Birthday – is easier said than done. The urbane ringmaster of terrestrial music television doesn’t fancy his chances of blowing them out either, at least not without singeing his trademark dapper suit. Fire extinguishers are mentioned before someone authorised to pronounce on these things decides that “it would be too dangerous”. Top rock combo Radiohead confer in a manner that suggests they didn’t get to where they are today without learning a thing or two about health and safety. Soul diva Mary J. Blige, obviously nonplussed by the drama, walks over to Holland – with whom she appears to be very friendly – and engages him in intense conversation. Meanwhile, in the far corner, two poster girls of alternative America – Cat Power and Leslie Feist – guffaw long and hard at something on Feist’s phone. And what a cracking guest list they put together for the big occasion. Performances were given by Radiohead, Mary J Blige, Robyn Hitchcock, Cat Power and Feist. The good news is, we’ve managed to snag some of the performances. The bad news? Due to the embedding nature of the BBC videos, if causing some problems with my post. As such, I’ll have to release the videos is separate posts each. 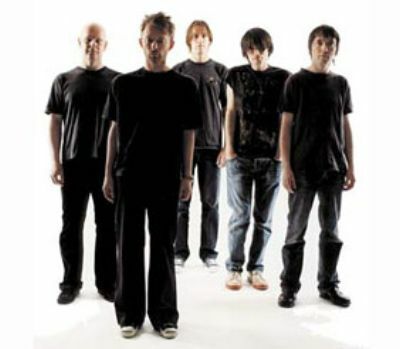 First up will be Radiohead‘s performance of “House of Cards” (from their In Rainbows album) – which only actually happened after the recording of the show had wrapped – is absolutely scintillating. Radiohead performed “House of Cards” live. Secondly, Cat Power‘s cover version of “Silver Stallion” is another clip that didn’t actually feature on the main show. Instead, this clip was filmed during a break in rehearsals. Every time I hear her voice, I fall in love with Chan Marshall all over again. 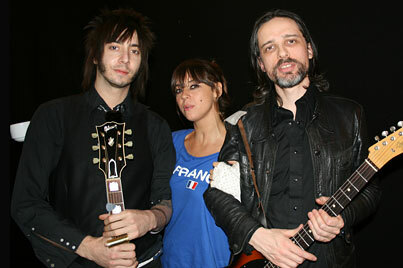 Cat Power performed “Silver Stallion” live. While I would love to include an mp3 of Cat Power’s “Silver Stallion” (which appears on her Jukebox album), her record label is fully against this, which is unfortunate as it’s a cracking tune. However, I have managed to locate an mp3 version of Radiohead’s live video, “House of Cards”, and you can get this below. And don’t forget… the videos will be following as two separate posts!! Previous Post The Damnwells… A new release, and some old love.